There’s a lot to be said for the more cinematic direction games have taken as successive hardware generations have opened the gateway for increasingly visually and aurally intense experiences. To accompany those hard-hitting graphics and killer gameplay, and to fill up space on increasingly vast tracts of media real estate, fully voiced games have very much become a thing, even in genres that were once too expansive to ever try. The latest Final Fantasy titles are testaments to this. The quality of this voice acting differs, but has seen a steady rise over time as developers less often take the “friends and family” approach to casting their roles and instead go for actors who, if not renowned for their voice work, are certainly consummate professionals in the field. Western games in particular, having natively avoided the nasty pitfall of a wonky translation, are often bastions of solid, if not great, voice acting. Sometimes, though, a voice actor comes along who is simply too good. His or her affectation is immediately recognizable, so much so that it actually becomes an immersion-breaking factor. This is a sign of quality not because the VA’s voice stands out, but because they are so entirely prolific that their voice immediately brings them to mind, establishing the fantastic nature of the game as a carefully constructed piece of media rather than as an organic and immersive experience. I’m talking about the Nolan Norths of the world, whose voices are so distinctive that the moment I hear it, my thoughts are less about the character speaking and more about the actor voicing the character. North certainly gets around: He has voiced Desmond Miles in the Assassin’s Creed series and Nathan Drake in Uncharted. The most infamous example of taking things too far, though, is his work in Mafia II, in which he voices enough NPCs that it is wholly possible to come across a couple of them chatting in the game world as the protagonist (also voiced by North) looks on. This isn’t to say that North lacks range; though he is mostly known for the Nathan Drake style voice he does most frequently. He changes it up occasionally, though. In Portal 2, he voices Rick the Adventure Sphere. With Rick, the thick drawl he speaks through manages to render North almost entirely unrecognizable, even though Rick is one of the quirkiest, most instantly entertaining and memorable presences in a game full of such things. Though there are quite a few others who fit this sort of overly identifiable template, such as Jennifer Hale, the one who takes the cake for me, personally, is Steven Blum. A voice actor not even known for his work in video games so much as his contributions to anime, Steven Blum (sometimes credited instead as David Lucas), was the voice behind Big O’s Roger Smith and has, in numerous incarnations both in animations and in games, served as the mouth of Wolverine (though, understandably, not in the X-Men Origins: Wolverine game). His smooth, deep voice first came to my attention, though, when he voiced Spike Spiegel in Cowboy Bebop, an absolute classic among anime. But, for me, Steven Blum is also the voice of that one Cerberus researcher in Mass Effect 2, whom you encounter in the first minutes of the game. He’s also an orderly in Batman: Arkham Asylum. These are both bit parts, but the moment I encounter the characters and hear their voices, my attention shifts from the game and the story or world it’s crafting and to the fact that, “Yes, that is indeed Steven Blum.” I find myself wondering what led him to take on these minor roles. (Are times tough? Was he just wandering through the studio?) Ironically, Blum also voices Grunt and Killer Croc in ME2 and Arkham Asylum respectively. His voice is almost completely alien in both roles, which is appropriate for the monstrous characters he’s playing, and I would never have known if it weren’t for my drive to look up his contributions to each title, since I’d heard his “standard” voice elsewhere in each game. 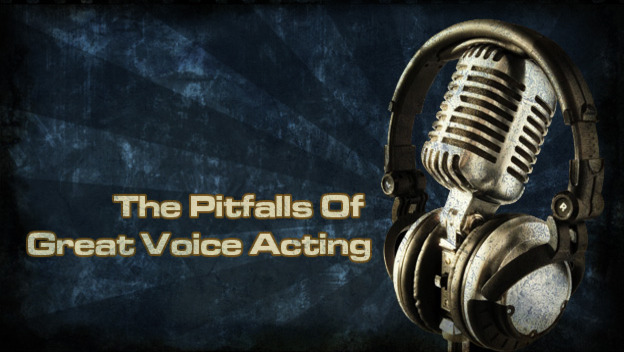 Recognizable voice actors can, of course, be a benefit as well. 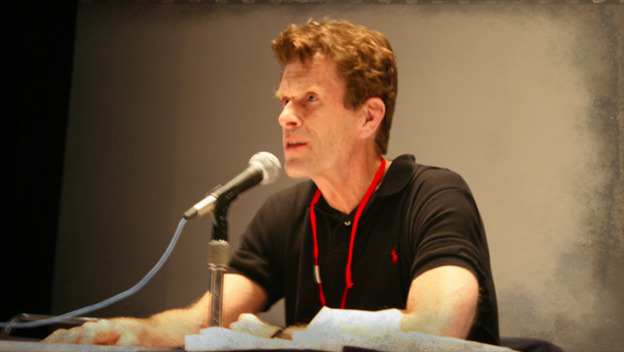 Kevin Conroy will always stand as the one, true portrayer of animated Batman. Bruce Wayne just wouldn’t sound right without him, and the near explosion of the internet in response to initial word that he wouldn’t be reprising the role in the upcoming Arkham Origins is evidence enough thereof. Similarly, David Hayter has always lent his gravelly vocals to Solid Snake and his father, Big Boss, when appropriate. That he won’t be returning in Metal Gear Solid V: The Phantom Pain is an absolutely perplexing decision, especially since his Japanese counterpart will be reprising the role.